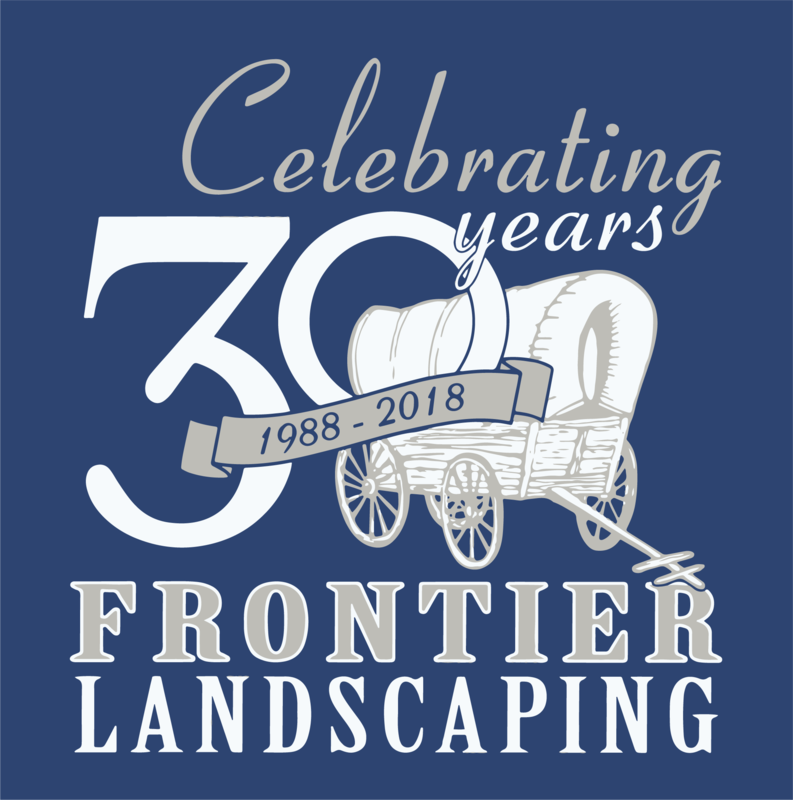 Frontier Landscaping has years of experience designing and implementing features that effectively carry water away from problem areas. Dry creek beds are star performers, particularly in sloped terrain. They work twice as hard for a landscape by running water from Point A to B, and standing alone as an attractive feature in drier months of the year. 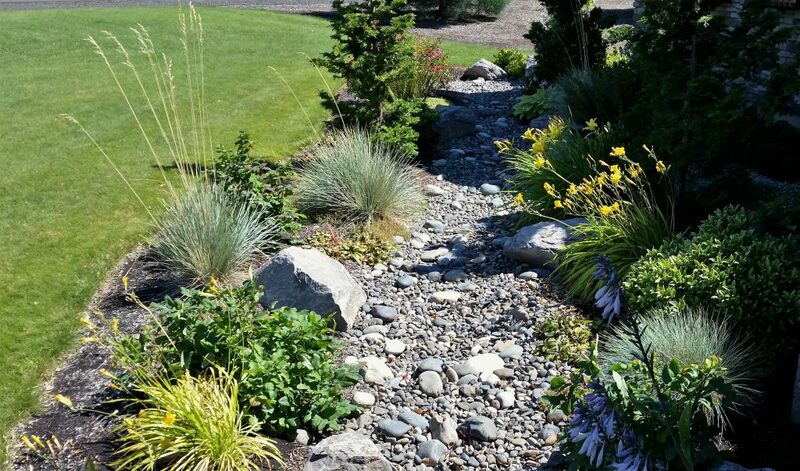 Dry creek beds are an excellent choice for addressing places in the landscape that are hard-hit by heavy rains. 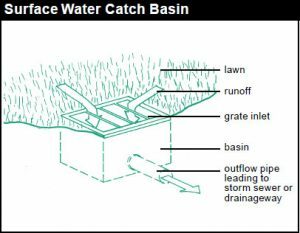 While a flat place in the yard may benefit more from a simple lawn drain, gradients and hillsides need the water capacity and speed that a dry creek bed can provide during extreme conditions. Effectively redirecting the flow of water saves you from ongoing erosion and long-term damage. 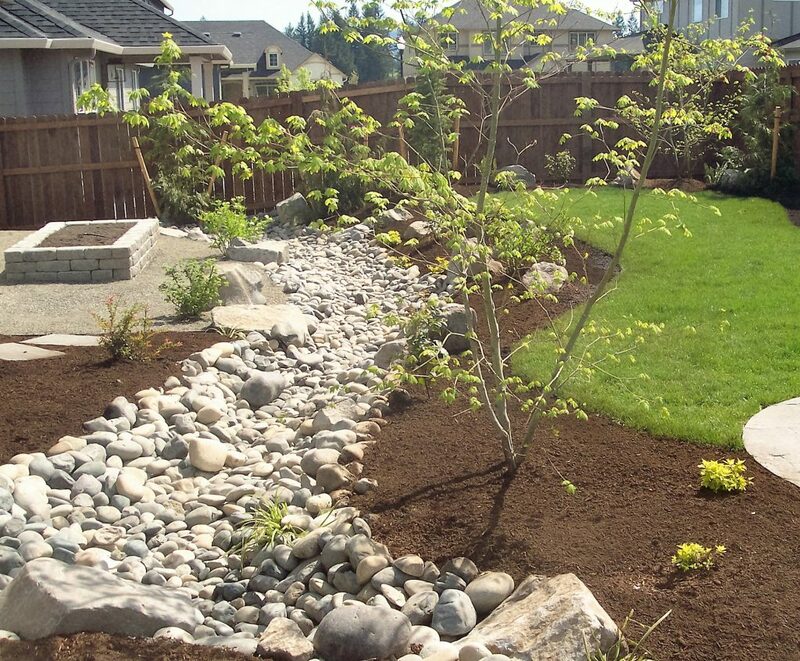 When property owners are looking for a greener way to landscape, dry creek beds play an exciting role. Different-sized rocks, boulders, and choice plantings give eye-pleasing texture to outdoor spaces, but require much less water than an expanse of lawn. While bark dust alone can look flat, a dry creek bed introduces definition and contrast. 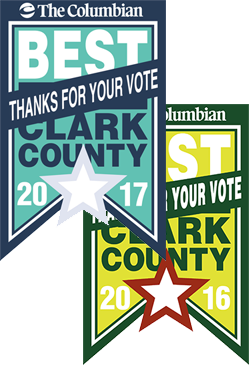 It’s aesthetically pleasing and earth-friendly — a winning combination. We regularly install dry creek beds to add natural beauty to a landscape. Expertly balancing a few key ingredients (a natural shape, native plantings, multiple sizes of stone) brings a natural, organic flow to an area. The results are breathtaking in any season, wet or dry. No two landscapes are exactly alike, and the solution that works for one may not work for another. While dry creek beds are particularly suited to slopes and hillsides, they aren’t usually the best choice for flat ground. 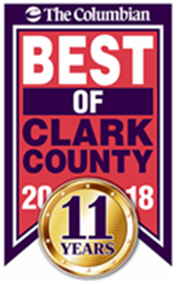 Other elements, like French drains, catch basins, and lawn drains also have a part to play — and that’s just the beginning. Frontier’s installation team has years of experience solving drainage problems for local property owners. 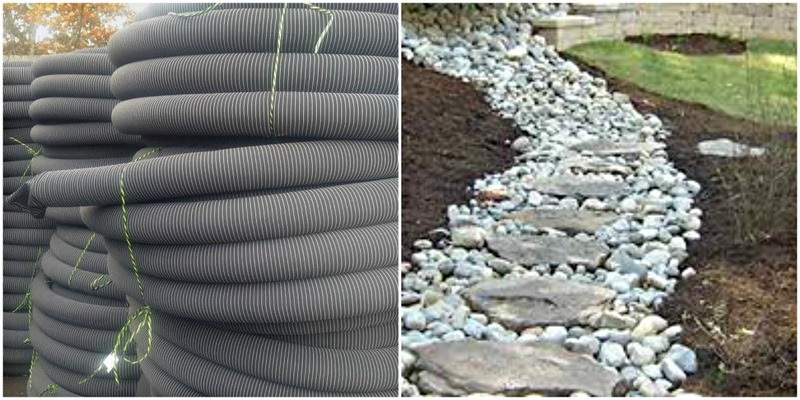 French drain pipe (L), installed as a garden path (R). French drains are a functional solution for flat terrain and less water. They often have a part to play in designing an overall solution for moving water in a landscape. Read more about them here. 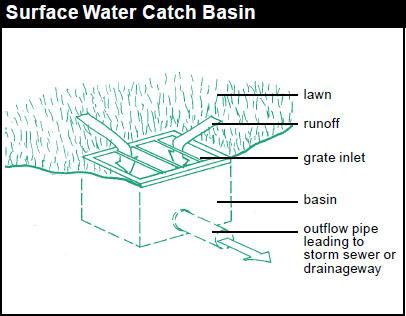 Ranging in size from 6 to 24 inches, catch basins can be square or circular. These grated drains are typically placed alongside a driveway or in a low or sloped spot in the yard or hardscaping, like a patio. This is a straightforward fix for diverting water away from wet spots. A blend of rocks around it allows the catch basin to blend in with the landscape. 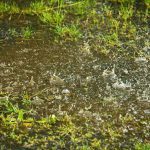 From basic to beautiful, there are many combinations of elements we can put to work that provide an effective long-term solution for drainage issues in your landscape. Ready to learn how can we help you solve your standing water problems? Call (360) 574-8979 or email us for a consultation. 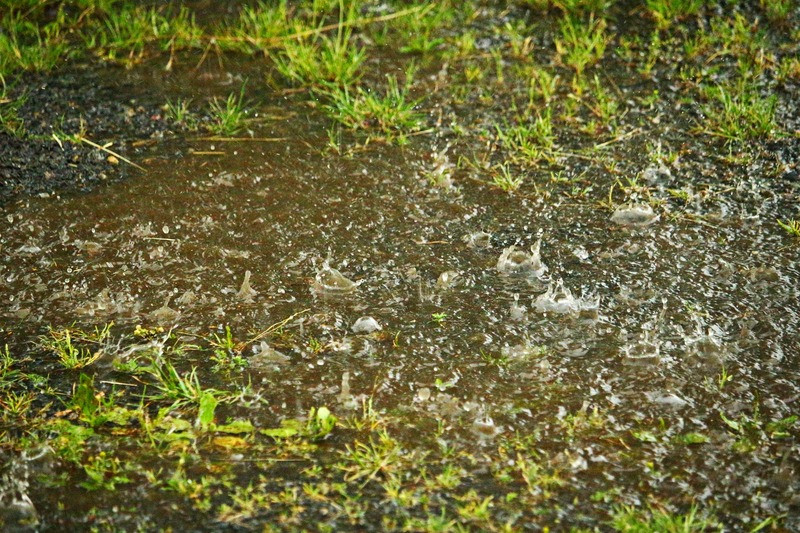 We’ll work with you to protect your landscape with the right drainage solution to meet your needs. Find more inspiration for dry creek beds and landscape design by visiting us on Houzz!